Whether you just want to dip your toe into adventure or are looking for a full throttle adrenaline rush, there’s a wide variety of exciting adventure activities just waiting for you to try. 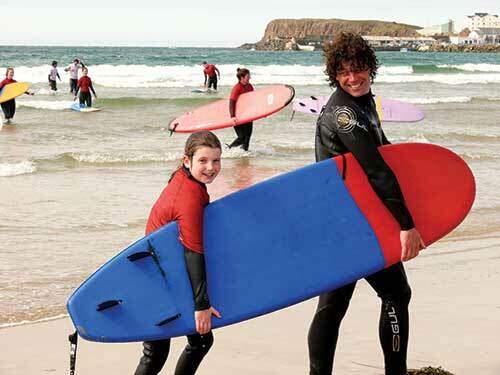 From sailing & diving, to body boarding, coasteering, horse riding, rock climbing & abseiling, to skydiving, kayaking & canoeing, there’s something for everyone on the beautiful North Coast. The North Coast has a rich maritime history and a great variety of current day water based activities including sailing, diving, powerboating, coasteering and kayaking. 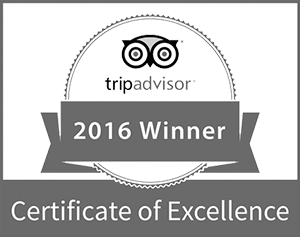 Whether you to enjoy a day’s yacht sailing, a scenic wildlife or angling boating trip, explore the inlets and beaches by sea, explore the undersea wildlife & shipwrecks or even learn how to sail or dive, it’s all here for you. For Golf enthusiasts there are a number of beautiful Links and Parkland courses on the North Coast with spectacular views and welcoming club houses, including the famous Royal Portrush. 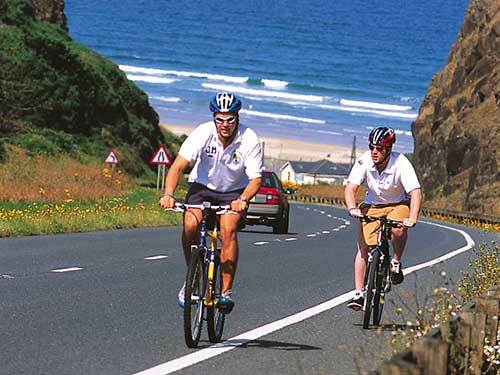 Cycle through beautiful landscapes with a wide choice of routes for all abilities. The North Coast is popular for its spectacular scenery, quiet trails, challenging climbs & exhilarating descents as well as increasing popular cycling events. 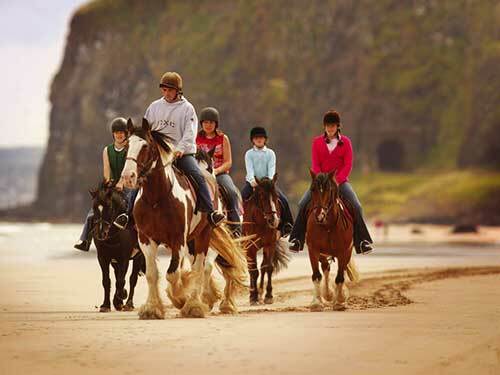 The Causeway Coast is known throughout the world for it’s stunning natural beauty with great walking trails from short strolls to family friendly trails and more challenging routes for the serious walker. 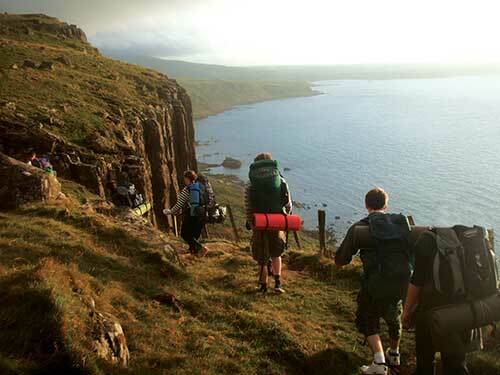 Take time to enjoy your journey through inspiring landscapes along rugged coastal trails, through lush woodlands & deep glens, past rich farmlands and tumbling waterfalls.